Tax season is once again looming over all of us. To complicate matters, the Tax Cuts and Jobs Act (TCJA) has established some new sets of rules, which are imperative to understand. In particular, if you happen to be a small business owner, you should make it your top priority to become familiar with the new deduction for owners of pass-through businesses. Such owners who qualify, could potentially deduct up to 20% of their net business income from their income taxes, and therefore, reduce their effective income tax rate by 20%. This deduction begins for 2018 and is scheduled to last through 2025. To be exact, it will end on January 1, 2026, unless Congress makes it a point to extend it into the future. It is important to note, a qualified business is one other than a business that performs services as an employee or a specified service trade or business (SSTB). SSTBs include fields such as health, law, accounting, consulting, and athletics, among others and would not qualify for this deduction and the same goes for regular “C” corporations. 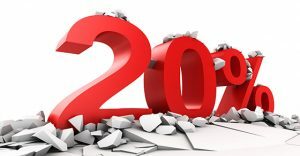 Finally, there is dollar amount limitation for when the 20% begins to phase out and eventually become unusable. The 20% deduction begins to phaseout when the taxable income is over $157,500 ($315,000 for jointly-filed returns),and it becomes totally unavailable to a taxpayer when taxable income is above $207,500 ($415,000 for jointly-filed returns). The deduction can be further limited by W-2 wages the business pays or by the property a business owns, so it is important to see if your business is limited by these various factors. TCJA has brought on new considerations as well as dilemmas for the 2018 tax season. There are definite advantages that can be had for business owners with pass through entities. Our experts at Dallo Law Group can help you navigate this complex code and ensure you get all the benefits you are entitled to. Why allow Uncle Sam take more of your money than is necessary? Our tax attorneys at Dallo Law Group are eager to help you determine your pass through deduction which can be cumbersome because of income thresholds that the code has established. Because this deduction can really add up, it is only fitting that you meet with our tax law professionals to maximize all your benefits. Tax season will be in full swing before you know it, so do not hesitate. We are always happy to offer a free consultation to discuss mutual interests. We can be reached at 619-795-8000 and look forward to hearing from you.